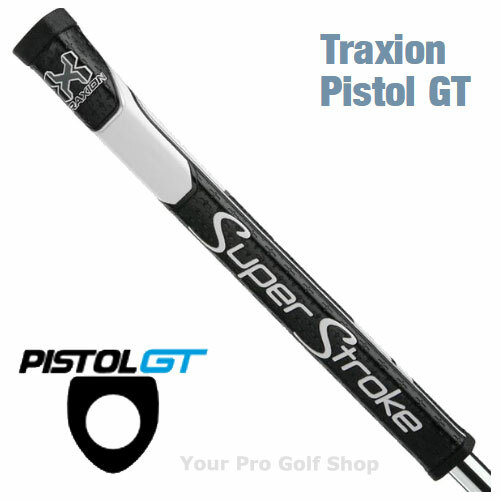 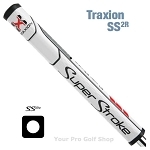 The Super Stroke Pistol GT Tour putter grips features a slightly oversized pistol shape with Parallel Technology ideal for players looking for a more traditional putter shape with modern game improvement features. 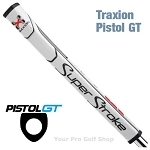 The Pistol GT Tour grips are manufactured from an incredibly tacky polyurethane material with an advanced "Traxion" surface texture providing amazing comfort and feel. NO TAPER TECHNOLOGY | Even Grip Pressure Patented No Taper Technology® creates even grip pressure for a more consistent stroke. 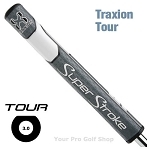 Parallel design has uniform lower hand profile to minimize grip pressure and maintain putter head path for a more consistent stroke.